Home /Government run amok, Human Rights, Property Rights/Where’s the abuse? Is seizure of 33 horses from Virginia farm retaliation for lawsuit? The horses were in the sheriff’s custody for 37 days, and several of the animals who were healthy and robust at the time of the raid, were emaciated and suffered from skin problems when returned to the owners. It appears that a horse farm and riding facility in Virginia has become the target for retaliation by county sheriff’s officials being sued by the farm’s owners. 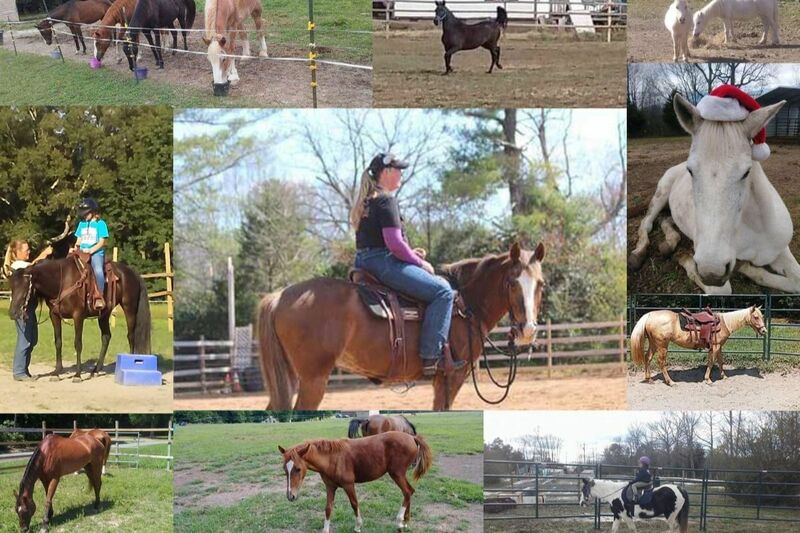 Cassy Newell-Reed, the owner of Dreams End Stables, believes that the January 2019 seizure of 33 horses from her property in King William County has nothing to do with “animal cruelty” and everything to do with a pending lawsuit she and her husband have against the county. Cassy’s farm was the subject of a 2016 raid by King William County, in which animals were assessed and later taken into custody by the sheriff’s department. After more than a month in custody the animals were returned because there was no evidence of neglect or maltreatment on the part of the owners. According to Cassy, she was charged with one count of neglect related to an animal that was not involved in the seizure, and which did not belong to her. The horses were in the sheriff’s custody for 37 days, and several of the animals who were healthy and robust at the time of the raid, were emaciated and suffered from skin problems when returned to the farm. You can view the before and after pictures here. In response to the baseless confiscation of her livestock, and the apparent neglect of the animals while in sheriff’s custody, Cassy and her husband sued King William County. In the most recent incident, according to Cassy, again there were no reports of abuse or neglect and no probable cause. Although there was a search warrant citing “animal cruelty,” it contained no descriptions or reports of such. Furthermore, the warrant was speciously issued under Code 3.2-6571, which applies not to animal cruelty but to animal fighting. KING WILLIAM COUNTY, Va. — With rain pelting their backs, 33 horses left their home on Upshaw Road in King William County and were loaded up by law enforcement agents working with the Attorney General’s Animal Law Unit. “This is a surprise, a surprise to my client and a surprise to us,” Andrew Bodoh, an attorney representing the property owners, said. Bodoh spoke with CBS 6 and showed Crime Insider Jon Burkett the search warrant. “Cruelty to animals, no date, no time, no description no details what so ever, just cruelty to animals,” Bodoh read off the search warrant. A spokesperson for the Attorney General’s Office said the search was part of an investigation into suspected animal cruelty. But Bodoh said his clients, who have not been charged with anything, were innocent. “Show me the abuse, where is the abuse? Who is claiming there is abuse?,” he asked. Bodoh suggested the raid could be in retaliation for a pending lawsuit his clients have with King William for a previous incident. “We don’t know what this is about, what I can tell you is we have an ongoing lawsuit against the sheriff and a number of deputies for a previous search on this property back in 2016,” Bodoh said. Bodoh said that lawsuit involves a previous search where animals were confiscated, but then returned because they were not being maltreated. If Cassy and her husband are not able to pay the $50K Surety Bond by March 14th, they cannot appeal to a higher court, and they could lose their horses. “This is just the start to what they are doing they have started. This as a retaliation for a lawsuit my husband and I have filed on a lot of the individuals of King William sheriff’s office and the sheriff himself along with many more. The lawsuit is for illegal search and seizure from a 2016 case which I won possession of my animals back. The only charge was for neglect on an animal I did not own nor was involved in the seizure. Photos from Cassy’s stables and horse rescue are posted on her GoFundMe and Facebook pages, where she is reaching out to people to raise money for the Surety Bond. Let me introduce you to our cause. We need help raising $50k for a surety bond so we can appeal the General District Court decision compelling us to forfeit our equines. On January 24, 2019, as I was heading out to feed our horses, a knock on our door stopped me. I answered it. State troopers and Spotsylvania Animal Control had a search and seize warrant. They told me they were there to take the horses and all files, even laptops and cell phones. The warrant claimed the crime was “Code 3.2-6571 Cruelty to Animals,” but Code 3.2-6571 is for animal fighting. This is the start of all that is wrong with this warrant and what they did. The warrant was for 170 Upshaw, yet they went to other addresses. I told the animal control those lots were not 170 Upshaw, and they ignored me. At the forfeiture hearing, a retired judge was called in. She kept pushing for everything to go fast. She stated I couldn’t be expert on my own horses, but the county’s expert was asked to compare two pictures that were five days apart, and said the horse that looked better. The pictures were of two different horses. One horse has a star and one horse has a stripe. They couldn’t even keep the horses straight. They forfeited the horses and told I us we could appeal this decision if I put up 50k surety bond. But unless I put this amount up they will not allow me to appeal the decision. I feel this is against my legal right to due process. They took these horses wrongfully, but for me to prove that I have to pay this bond. We have 30 days to pay this, or we will not be able to appeal or get out horses back. Keep in mind King William sheriffs did this in 2016, and the judge ordered all horses to be returned. We have since filed a lawsuit on many of the individuals of the King William sheriffs department and others who had my horses due to the neglect that happened while in their care. Additional details about the case can be found on the Stop King William Retaliation Facebook page. If you would like to donate to Cassy and her husband, click here. Same thing happened to me. I was railroaded because of a pending lawsuit against a county officials relative.